THE Government has tasked the Sports Commission to carry out an audit of the finances and general corporate governance of Zimbabwe Cricket in the wake of ballooning debts and the outcry that followed the nation's failure to qualify for next year's ICC World Cup. 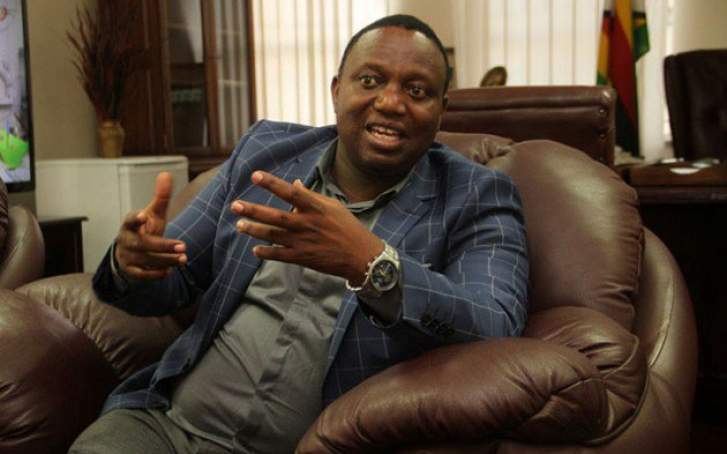 Youth, Sport, Arts and Recreation Minister, Raymond Kazembe, yesterday said apart from the concerns over the poor performance and the ugly brawls that followed the Chevrons' World Cup debacle, the Government was also concerned about the huge debt being carried by ZC. Kazembe said the Ministry has engaged ZC and other cricket stakeholders and, after accusations and counter-accusations from all the parties, the Government resolved to institute an inquiry. "As a Ministry we are concerned obviously with regards to our performance as the Zimbabwe national cricket team," said Kazembe. "There are a number of other issues that have also been raised and the moment there is an outcry from the nation, we become interested as the Government to try and get to the bottom of the issues affecting the game with a view of finding lasting solutions. "So we asked the Sports Commission to get to the bottom of the issues that have been raised, issues to do with the performance, the firing of the technical team and other related issues like the debt that everyone is talking about, the $19 million debt. "We would want to find out how that debt came about and why ZC finds itself in this situation obviously with a view to finding lasting solutions. "We are perturbed as the Government and we have tasked the Sports Commission to institute a commission of inquiry and also to ensure that there is a forensic audit carried out in the interest of the nation," said Kazembe. The ICC have already instituted a forensic audit into the ZC debt and came up with a number of resolutions. Kazembe also wrote to Sports Commission chairman Edward Siwela. "The Ministry is in receipt of your brief and update on issues related to Zimbabwe Cricket and also notes your noble intention of conducting an inquiry on performance-related matters emanating from the International Cricket Council World Cup Qualifier. "Further to the issues highlighted in your communication, the Ministry also notes that Zimbabwe Cricket is in arrears amounting to US$19 million to various creditors which the Ministry is currently negotiating to be warehoused by the Zimbabwe Asset Management Company. "The Ministry is also aware that Zimbabwe Cricket is currently receiving an annual grant amounting to US$9 million from the International Cricket Council for development purposes. "In light of the above, it is pertinent in the interest of the nation to ascertain the causalities of debt in Zimbabwe Cricket as well as the financial management models deployed by the organisation. "Notwithstanding your initiative and guided by the need to instil accountability, transparency, honesty and integrity in the administration of the sport in the country, it is my resolve that the SRC Board instigates an urgent financial audit of the finances and general corporate governance of Zimbabwe Cricket."